After the presentations by panellists, the rest of the session time will be discussion/interaction with the audience. K. Ananth Krishnan is an M. Tech. in Computer Science and an M.Sc in Physics from the Indian Institute of Technology, Delhi. He also has a Bachelor's degree in Physics from Fergusson College, Pune. He joined TCS in February 1988, straight from campus. 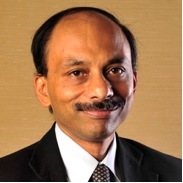 Ananth is currently the Chief Technology Officer of TCS and chairs the TCS Corporate Technology Board. He is a member of the TCS Corporate Think-Tank since 1999, and has led several strategic initiatives. He has been a Principal Architect and Lead Consultant in the Architecture and Technology Consulting Practice, and earlier the head of the TCS Systems Management and the Systems Software Group. He was named in Computerworld’s Premier 100 IT Leaders for 2007, and in Infoworld’s Top 25 CTOs in the same year. He was named a Distinguished Alumnus of the Indian Institute of Technology, Delhi in 2009, and a Fellow of the Indian National Academy of Engineering in 2013. He was an invitee to the quarterly management review with the TCS Board (the executive committee of Tata Sons Limited) from April 2000 to March 2004. He has served on several Advisory Boards of software companies as well Industry and academic bodies and Government committees. He has served on the organizing committees of several national and international conferences. He is a Senior Member of the IEEE and of the Computer Society of India as well as a member of the Association of Computing Machinery, and has served on the ACM India Council. He has been an invited faculty in the Department of Management Studies at the Indian Institute of Technology, Madras. Ananth is married, with two children and lives in Chennai. He has formally retired from a successful career in Trivia and Quizzing (which includes the 'Brain of IIT' individual title and two 'Cranium Cup' titles at IIT and several years on the IIT Quiz team), public speaking, crossword puzzle solving and cricket. Jeannette M. Wing is Corporate Vice President, Microsoft Research. She is on leave from Carnegie Mellon University, where she is President's Professor of Computer Science and twice served as the Head of the Computer Science Department. From 2007-2010 she was the Assistant Director of the Computer and Information Science and Engineering Directorate at the National Science Foundation. She received her S.B., S.M., and Ph.D. degrees in Computer Science, all from the Massachusetts Institute of Technology. Dr. Wing's general research interests are in the areas of trustworthy computing, specification and verification, concurrent and distributed systems, programming languages, and software engineering. Her current interests are in the foundations of security and privacy. 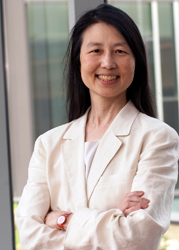 She is Vice Chair of the DARPA Information Science and Technology (ISAT) Board, Chair of the ACM Infosys Award Committee, and member of the Microsoft New Faculty Fellowship Selection Committee. She has been a member of many other academic, government, and industrial advisory boards. She received the CRA Distinguished Service Award in 2011. She is a Fellow of the American Academy of Arts and Sciences, American Association for the Advancement of Science, the Association for Computing Machinery (ACM), and the Institute of Electrical and Electronic Engineers (IEEE). Vishnu Bhat (@BhatVishnu) heads the Cloud, Mobility and Infrastructure Management Services units and drives the vision of delivering digital transformation and infrastructure management initiatives for clients. Vishnu has been with Infosys for 21 years and earlier led the Cloud and System Integration unit at Infosys. Prior to that, he was Chief Operating Officer (COO) for Infosys Australia. As COO, he integrated an acquired subsidiary, building a strong footprint in the market. He also headed the Global Development Centre in Toronto and delivery operations for Canada. Vishnu represents Infosys as a steering committee member at the Open Data Center Alliance (ODCA) and has joined the ODCA Board of Directors. Vishnu is a widely recognized leader in the industry for his vision and expertise in delivering transformational impact for enterprises through Digital technologies such as Cloud, Big Data and Mobility. He has been recognized as one of the 101 Trust Leaders in Cloud and Hosting, 2014 by Total Product Marketing.